GREEN BAY, Wisconsin – Printers throughout North America are leveraging the superior performance characteristics of printing press sleeves produced by MECA & Technology Machine Inc. to enhance their results. MECA & Technology Machine specializes in producing high-quality printing press sleeves that perform at optimal levels even at high speeds and tight tolerances. 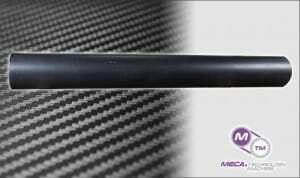 MECA & Technology Machine offers carbon fiber and composite options for its high-performing printing press sleeves. Both materials feature lightweight design and superior dimensional stability, holding its shape to ensure sleeves meet tight tolerances over the long term. Composite printing press sleeves offer a more budget-friendly option compared to premium carbon fiber sleeves, which feature superior vibration-control properties. The lightweight technology behind MECA & Technology Machine printing press sleeves make it possible for operators to stop machines faster because there is less inertia behind the mass. The lower weights also make it possible to use smaller drive motors on presses. In addition to standard-size flexographic printing sleeves, MECA & Technology Machine has the capability of producing custom printing press sleeves up to 120 inches in length. MECA & Technology Machine Inc. is an innovative manufacturer and engineering provider of tight-tolerance machined components, such as carbon fiber, steel, stainless steel and aluminum cylinders, gears, composite flexographic plate and bridge sleeves, aluminum and carbon fiber anilox sleeves, and mechanically engraved rolls for the industrial, flexographic, coating and converting industries. The company employs more than 50 people at its facilities in Green Bay, Wisconsin. 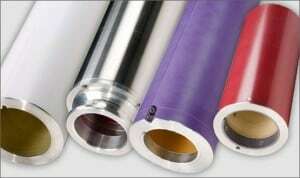 For more information about MECA & Technology Machine’s printing press sleeve capabilities, call Mick Karchinski, Vice President of Sales, at (920) 336-7382, or visit https://www.mecagb.com/. 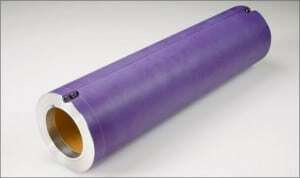 View original post on printing press sleeves here.